As the world's largest manufacturer of quality canoe and kayak paddles, Bending Branches remains a privately held company in Northwestern Wisconsin staffed by paddling enthusiasts. This translates into designs that are clever and practical, providing the perfect combination of durability, comfort, fit, weight and style. 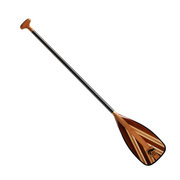 Millions of customers have found their paddles to be their long-term companions on adventures, both long and short. 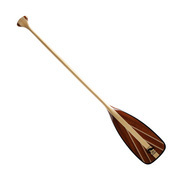 At Piragis we're proud to stock Bending Branches Paddles for Canoeing and Kayaking. Blade Size: 5.5" x 16"